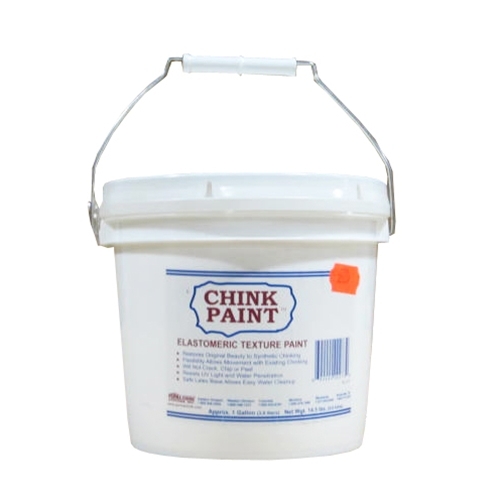 Chink-Paint | Renew the Color of Your Log Home Chinking. When restoring an older home, Chink-Paint can save time and money by eliminating the need to mask off the chinking before staining. Simply wait for the stain to dry and then apply a coat of Chink-Paint in whichever color you desire. S and K Schulz in CO (06/07/14) - "I have a faux chink style home. I wanted the look of chinking, but didn't know how to get it. I called Perma-Chink in Rifle, CO and they helped guide me to the chink paint options online. They guided me click by click to the chink paint page. Great service to go with a great product. It was easy to apply and looks just like chinking...I LOVE IT! Thanks for the help Perma-Chink, your products are worth it!" 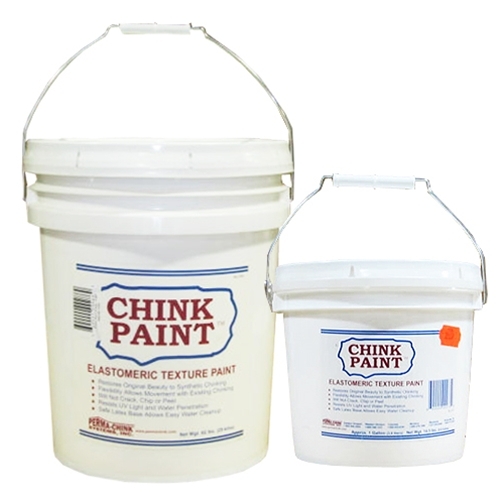 D Bartee in VT (10/21/2013) - "Chink Paint worked well to coat over existing chinking after staining and helped cut down my labor costs and time"
N Sherr in ID (10/09/2013) - "I needed to refresh my chinking because it had become very dirty and discolored. I used Chink Paint and my chinking looks brand new! It came in the exact color of my original Perma-Chink chinking, so I was very happy about that." T Herzlinger in NY (09/03/2009) - "Chink Paint gave me the chink look that I want and stayed within my budget."